Our Master Brewer uses crystal and pale malts with Challenger, Pilgrim, First Gold and Goldings hops to deliver a beautifully malty ale with subtle notes of toffee and fruit. Especially fine with English roasts, sausages and pies. ... collection is an exceptional brood of award-winning English beers. What makes them so special? Several things. Respect for traditions: a Master Brewer with an understanding of his art that is second to none... balanced by the right amount of curiosity and creativity so things never stand still. In short, a man with a spring in his step. Secondly, the quality of our malt and hops, the key to a great flavour. Third, our own chalk well, source of water used for brewing for many generations... and trust us, the water matters. 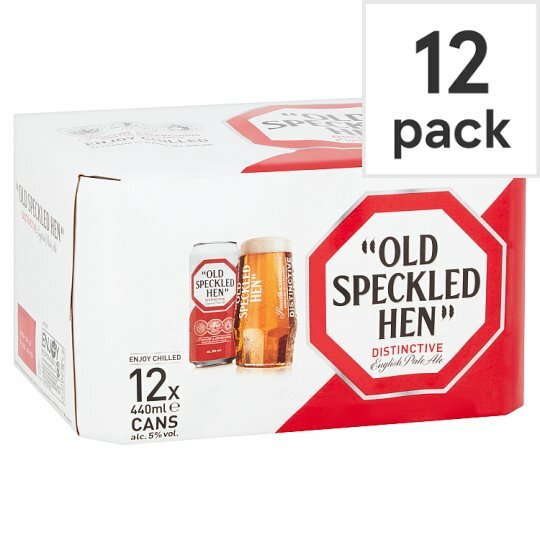 All this brings heritage and craft together in the most divine manner - four Hens, four singular characters: Speckled, Hoppy, Crafty and Golden, which means the perfect flavour to suit any mood, occasion or palate.